The trucking industry is filled with vendors offering solutions for improving safety, retention, and productivity. The key component to having a successful program for any of these three big topics is to have an engaged group of drivers. Engagement consists of two main factors; attitudes and beliefs. Engagement beliefs measure how an employee or driver thinks and feels about their company. Engagement beliefs measure an employee or driver’s level of effort towards their job. Based on research from the past 25 years at Strategic Programs and by others offering a variety of employee surveys, we all find there is a significant relationship between engagement and organizational outcomes. 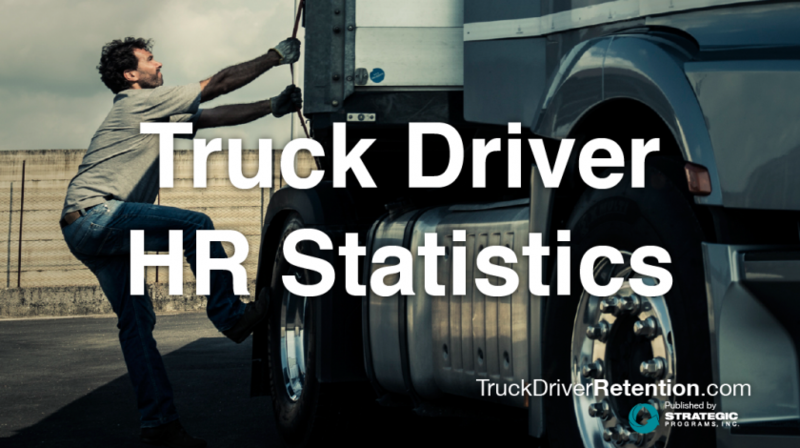 For example, a quick look at our trucking clients with high scores around engagement items and you see fleets that are known for great operating ratios, lower than average turnover percentages, and better-than-average CSA BASIC scores. Strategic Programs has a big footprint in the healthcare industry as well, where studies have shown that increased turnover yields poor clinical outcomes and a greater increase in falls, infections, and medication errors. Our healthcare clients use our data to increase engagement to not only retain staff, but to improve the quality of care and their bottom line. Towers Watson found in 2012 that when employee engagement survey scores increase by 15%, there is a correlation to a 2% increase in operating margins. Regardless of the industry, engagement studies help companies and organizations understand where the level of commitment to the job begins to break and why. The trucking clients who partner with Strategic Programs can effectively measure the levels of commitment, satisfaction, intention to stay, and effort their drivers put into their jobs. Most importantly, clients can measure improvement in these areas in real time and over a specific time period. When a new safety program is implemented or a new TMS platform is purchased to enhance productivity, what assurance do you have that there will be the same buy-in from the fleet that there is in the executive offices? How will engagement within your fleet expedite or impede the adoption of new items, ideas, or strategies? Understanding attitudes and beliefs within the workforce before moving forward is the first step in getting a map and making a plan. Without a reliable understanding of engagement, you may end up lost or making the wrong turn.